“… I am up in the wee hours of the morning! I couldn't stop reading your manuscript once I really had undivided time. … As usual, I found it very informative and insightful. Your format is cohesive and easily followed. It follows a logical progression which makes the book an easier read. If a question popped into my head it was almost immediately addressed and I am a big proponent of that kind of writing. … That is one of the things that I like about how you write: you don't leave me with questions hanging or loose ends. I found that the book was also challenging to me personally. It made me painfully and keenly aware of my shortcomings in the area of intercessory prayer and the need for more worship during my personal devotions. … Your book has made me take a look at worship in a different light. … [M]y preliminary assessment of your book is that it is spot on. I sense a great sincerity and desire to direct people to our Father through worship that ushers us into the glory realm. 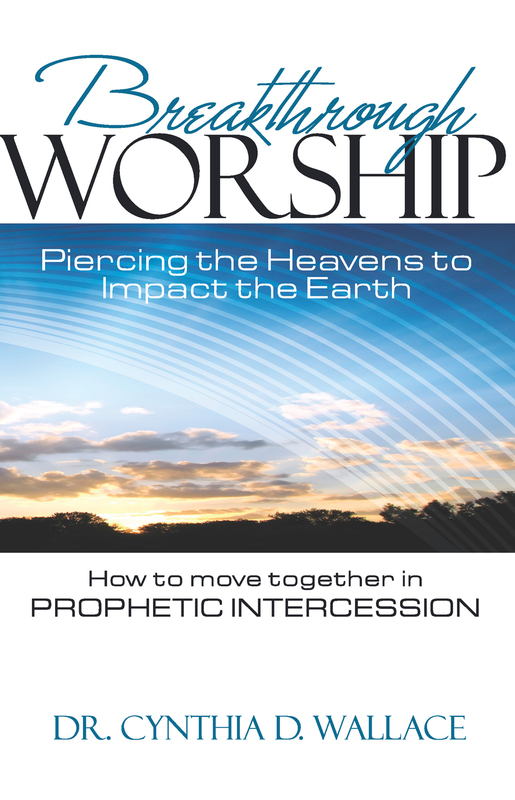 … [T]he book has a powerful message for today's believers about worship and intercession. Your books are always meat and potatoes and not fluff sandwiches. … I want something that will be helpful to me and change the way I think and act. Your books do that!" "Precious Cynthia, I do have your newest book Breakthrough Worship – it’s the one that, as I mentioned to you in an earlier email, the Lord told me about on March 3rd (twelve days before I received your message). I thought it was interesting that He told me about it even before I had a chance to hear about it from you and He was SO excited about it!!! I went onto Amazon.com the very day He told me about it and purchased a copy, read it and enjoyed it immensely. It’s a wonderful book that totally captures the heart of God – and it captured mine, as well."